We are constantly adding new features and abilities to our powerful eCabinet Systems Software. 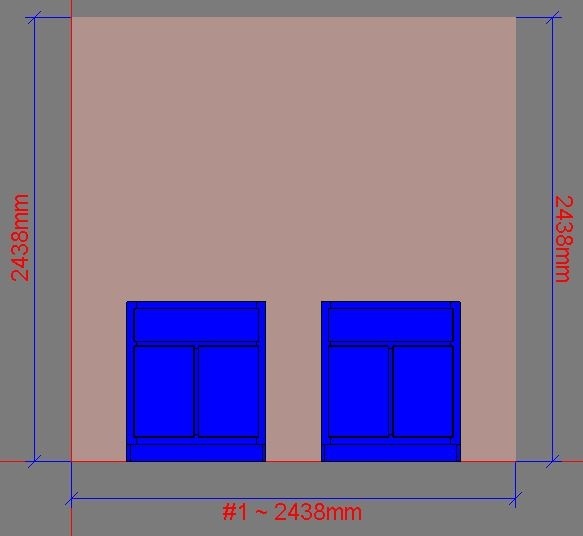 A few of the highlights of the latest build (6.2) is an auto dimensioning feature for the wall elevation view, scaled prints in the wall elevation view, auto dimensions for vertical walls/rooms and much more. See below for detailed info on all of the new additions and fixes in this release. 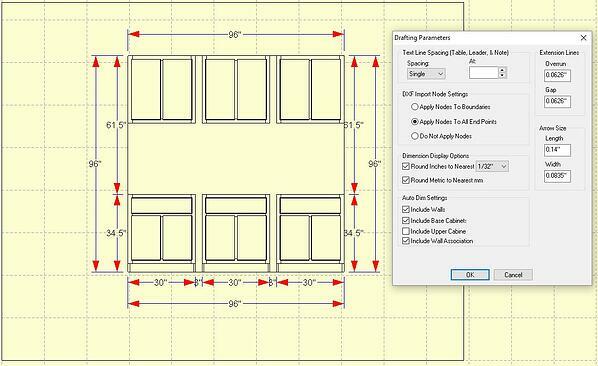 The auto dimensioning feature for the Wall Elevation View shows you a quick view of dimensions between cabinets and the overall wall dimensions. Settings in the right click menu allow you to filter which dimensions are displayed. 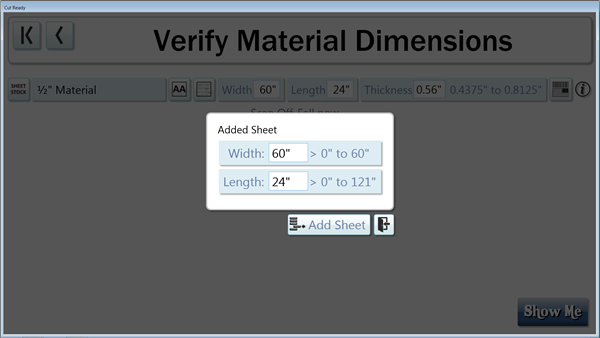 Scaled printing iis an option from the right click menu. It allows you a quick way to create a measurable print that can then be given to an architect. 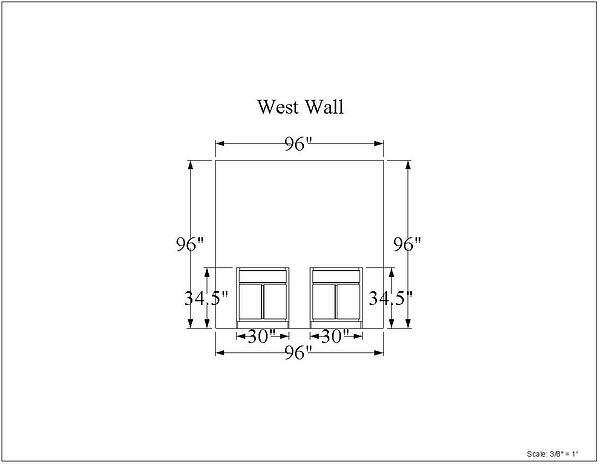 Allows for the quick dimensioning of items on a wall. 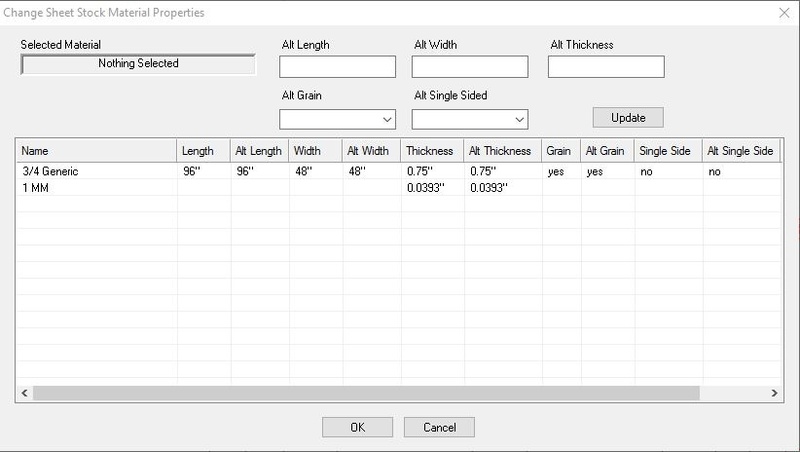 The Drafting Parameters from the right click menu allows you to filter out unnecessary dimensions. 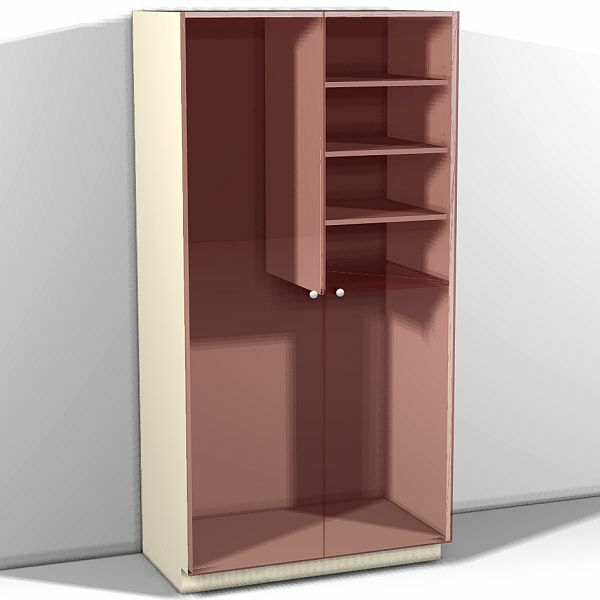 Allows you to create a cross-sectioned view inside a cabinet. 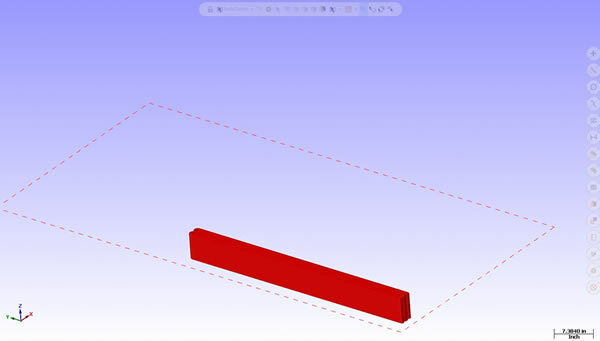 This new cross-section view is automatically created on a new page after selecting somewhere on a cabinet (the red line then appears and creates the cross-section). 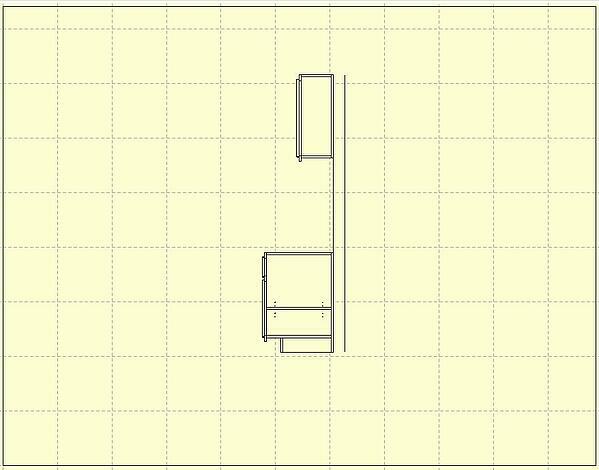 Lets you create a DXF from an overhead view of a layout, front view of a wall, or a cabinet. 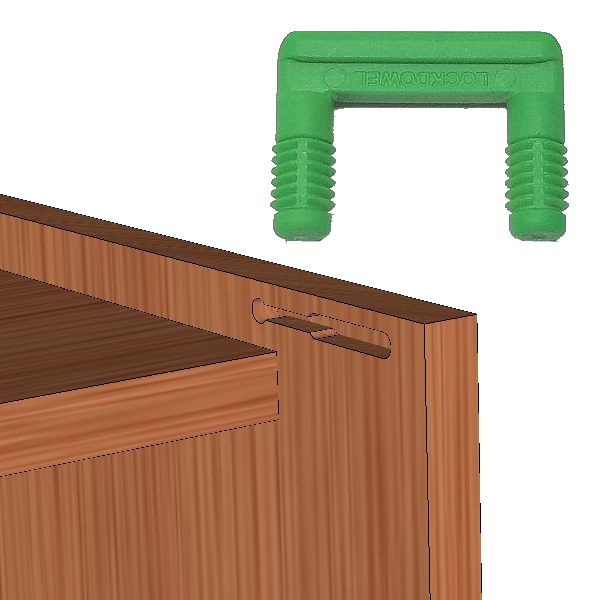 The DXF can then be loaded into a CAD program for additional information to be added. Enhanced pocketing was a feature added in an earlier version of eCabinet Systems and Control Nesting. Those with older machines cannot use this feature, so the ability to disable enhanced pocketing is a way to keep from having errors at the machine in that case. 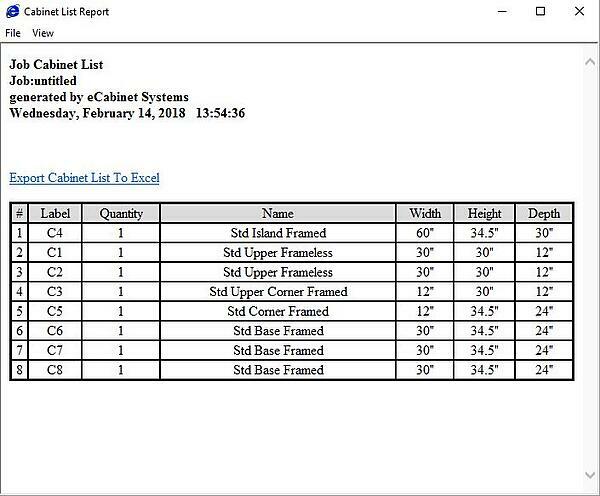 Creates a report that lists the cabinets in a batch job or room layout. This report can be exported to Excel. 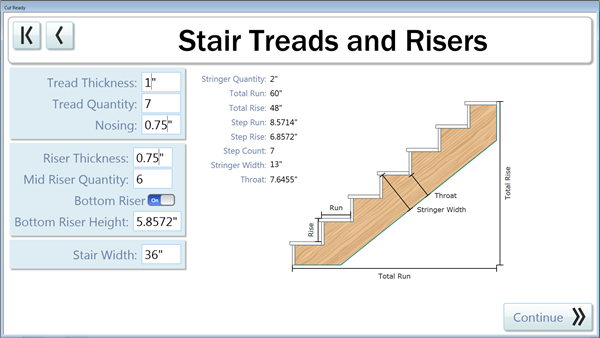 Works the same as wall elevation scaled print with the addition of custom user dimensions and notes. Allows you to change the thickness of the edge banding when creating CNC jobs rather than having to replace the material in the job. 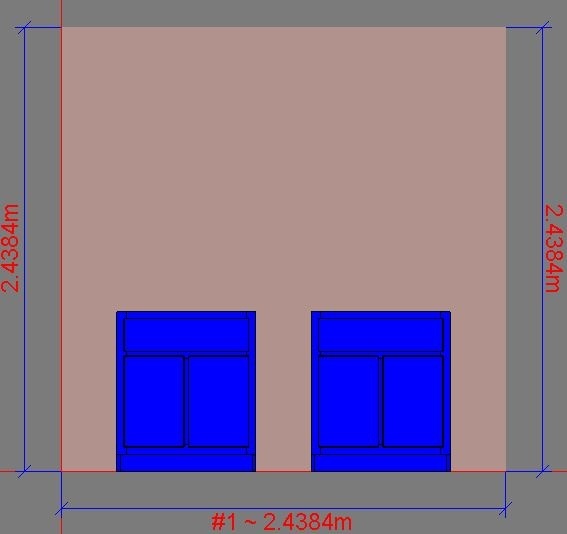 Previously, a displayed dimension over 1000mm displayed in meters with decimal places. Now we have added the ability to display it in just millimeters. 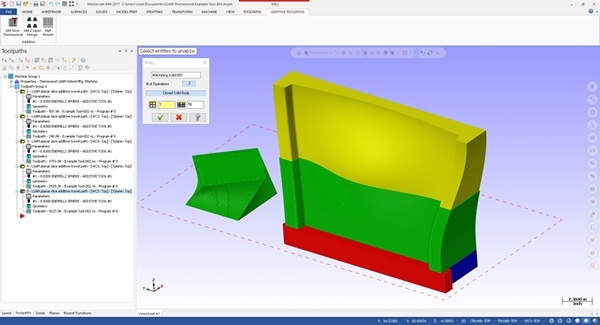 Thermwood has added significant new capabilities to its LSAM Print3D additive manufacturing software. 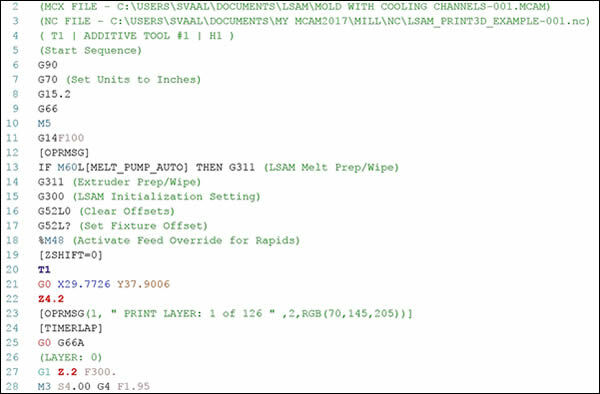 Thermwood’s software is a true CAD based slicing software which operates within Mastercam to generate additive printing programs for Thermwood’s Large Scale Additive Manufacturing (LSAM, pronounced L-Sam) machines. Unlike most other slicing software which generates net shape programs for small thin print beads and only works with .STL files, LSAM Print 3D works with true CAD file formats commonly used in industry, including solids, surfaces and meshes. It is designed at its core for industrial “near-net-shape” additive manufacturing applications with features tailored to large parts printed at high rates using large print beads. “Near net shape” additive manufacturing is a two-step process where the part is first printed at high speed to a size slightly larger than needed and then trimmed to the final size. Net shape software can be made to work for small “near net shape” parts provided small print beads are used, but net shape software doesn’t work for large structures printed at high speed using large print beads. LSAM Print 3D is specifically designed for large scale “near net shape” industrial applications. A new concurrent printing feature has been added with which multiple parts can be printed concurrently, dramatically improving throughput as well as offering some interesting new possibilities. The system operates by printing the first layer of each part, then the next layer of each part and so on. While this appears rather simple at first, it is not quite as straightforward as it first appears. If all the parts are made essentially the same way, it is, in fact, simple. But in many cases, different parts may be printed differently, using different printing parameters and/or layer definitions. One part may be totally solid, the next completely open. One part may have thin walls the next thick walls. The software allows each part to be independently designed without regard to the others and can still print them concurrently. The major production improvement that results from this new ability is due in large part to Thermwood’s high output print head and large table sizes. 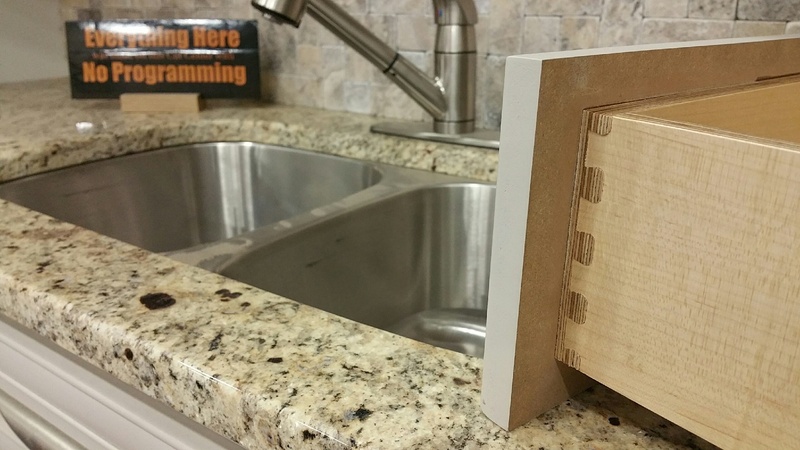 Versions of Thermwood’s print head have been tested at output rates of over 500 Lbs/hr. 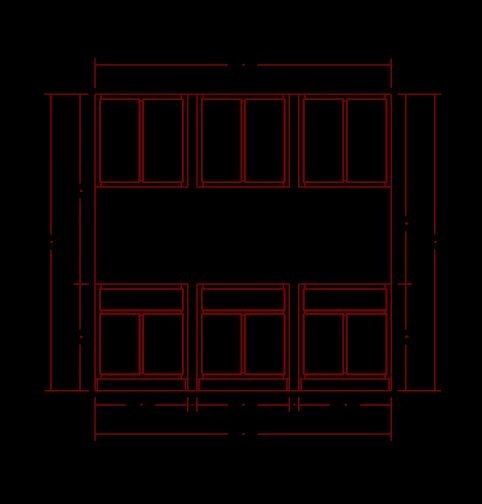 To understand how this works, you must understand the unique nature of Thermwood’s print system. Unlike traditional FDM printing techniques which print slowly onto a heated table in a heated environment, Thermwood’s LSAM machines print at such a high speed that the process must be continuously cooled rather than heated. All the heat in Thermwood’s system comes from the print head. Using Thermwood’s print system, the current layer must be cool and stable enough that the new layer doesn’t distort it, but must also be warm enough that it fuses completely with the new layer. With carbon fiber filled ABS for example, even with fan cooling, it requires at least a minute and a half wait time between layers. Higher temperature materials can generally be printed at somewhat faster rates but, Thermwood’s high speed print head prints most part layers, even large parts, in much less time than that. Instead of pausing or running really slowly to accommodate the minimum wait time between layers, multiple parts can be printed in the same amount of time, provided there is enough available table space. Thus, the faster the print head and the more available table space, the more parts you can print concurrently. 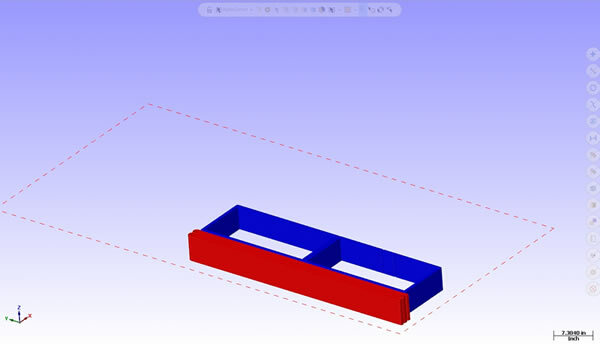 With this new feature, the ability of the software to concurrently print dissimilar parts is not a limiting factor. Many times, really large parts or molds are made in sections that are then combined into the final structure. Multiple sections of these type of parts can now be printed at the same time, reducing print time for large structures by as much as 80%, while still adhering to the minimum time between layers dictated by the thermoplastic material. In addition to dramatically reducing average print time, there are other important aspects to this new capability that aren’t obvious at first. As an example, when you need a more complex part, you can design it as two or more separate parts and then print them next to each other or even on top of each other so that they fuse together during the print process, resulting in a single complex structure that would be difficult to program and make any other way. 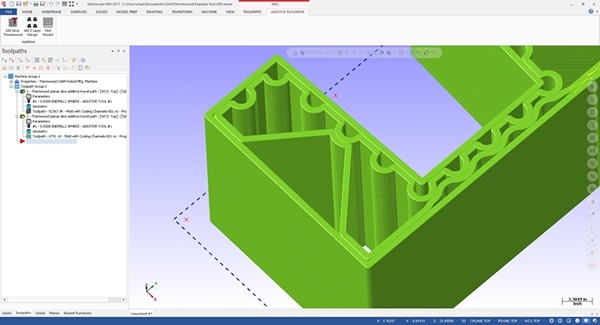 Internal supports are no longer restricted to just standard infill patterns. As interesting as this is, it gets even more involved. 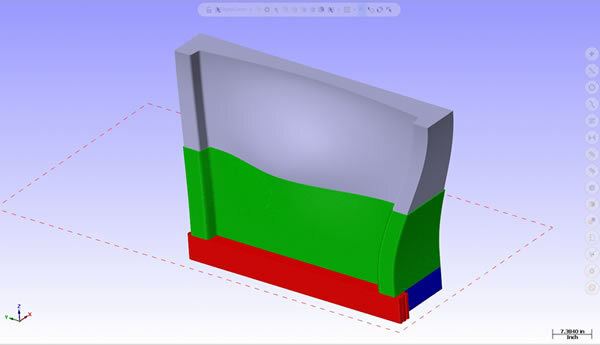 Current FDM slicing software focuses primarily on the outside shape of a part. Infills may be used on the part interior, but there are real limitations to the use of standard infill patterns. 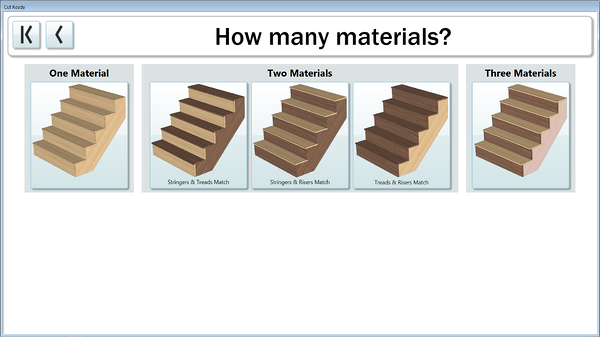 Thermwood’s new software capability can begin printing a part at any layer above the table top. There is an interesting reason why you would want to do this. This new approach begins by breaking up complex parts into multiple individual parts and then printing the parts concurrently inside or even on top of one another. To accomplish, this some layers may not begin printing at layer one, but may instead begin printing somewhat above the bottom layer (for example - to print a large part with a solid bottom and interior features, you would begin by printing the solid base and then add the interior features, which would be separate parts). To do this, you need to begin printing at the level of the already printed base which is in fact, a distance above the table top. This opens a whole new world of part design to additive manufacturing and dramatically broadens the capability of the underlying technology. 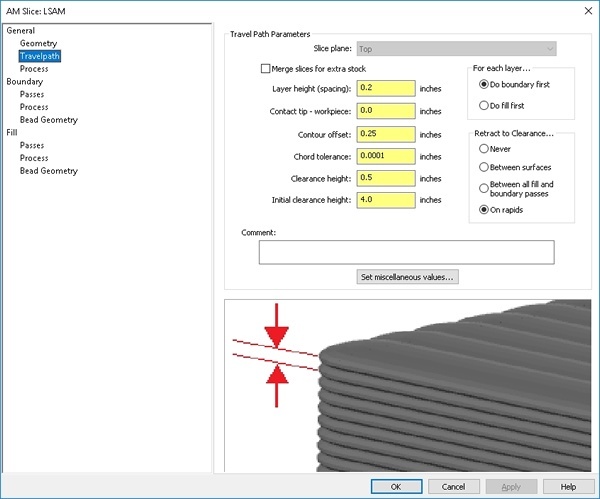 Another interesting new feature is the ability to design interior walls as part of a CAD part design and have the software recognize these as single bead interior support walls and automatically develop a program to print them as designed. The software has also been taught specific operational characteristics of the of the LSAM machine which it automatically takes into account when generating a slicing program. 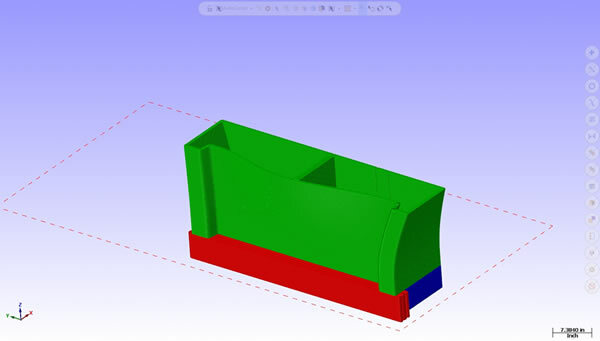 Output of the LSAM Print 3D software is a CNC program ready to run on the LSAM print gantry. No additional CAM or post processing software is required. 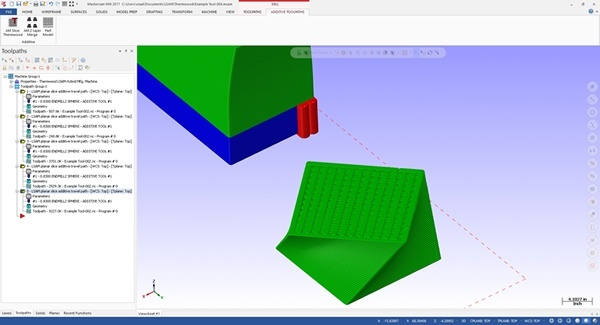 Thermwood maintains an ongoing additive manufacturing software development effort and expects new features to be developed and released on a regular basis. “We are at the very beginning of this new technology” says Thermwood’s Chairman and CEO, Ken Susnjara. 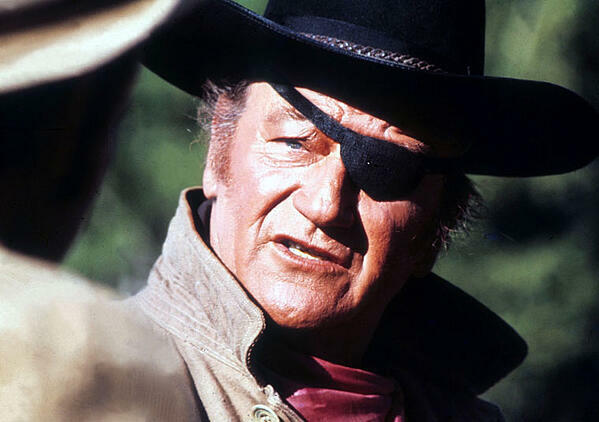 “There is still a lot of unexplored territory and challenges to address”. 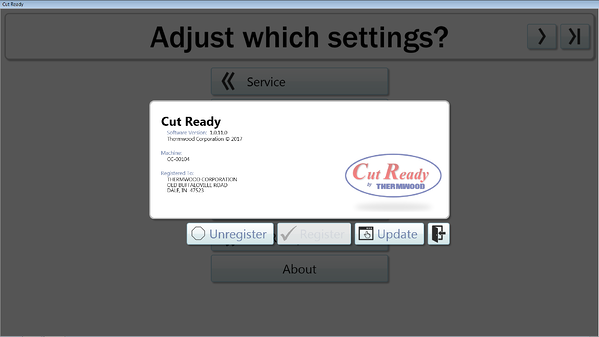 We are constantly adding new features and abilities to the Award-Winning Cut Ready Cut Center. Included in this update are suggestions/recommendations from current users, along with several updates features. 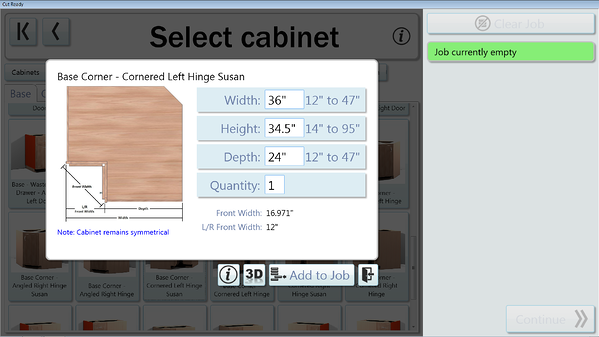 We now offer the ability to resize the width and depth of Corner Cabinets. 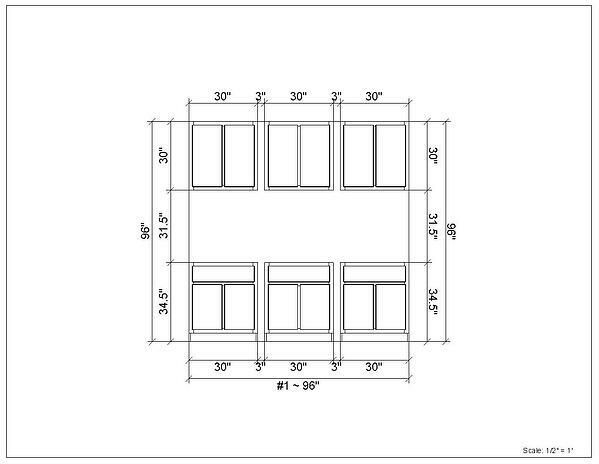 This works for both the Cut Center's standard Frameless and Face Frame cabinets. 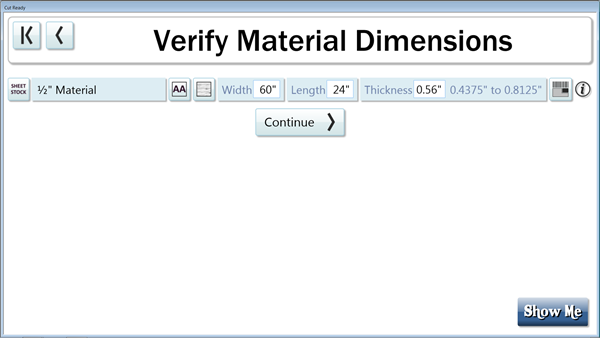 When you enter in different values, the software will show you the front opening dimensions. Air Assist helps with locating sheets of plywood onto the table by creating a “pillow” of air underneath the material (this works very much like an air hockey table). However, this requires a vast amount of air, which could potentially affect other machinery in your factory. 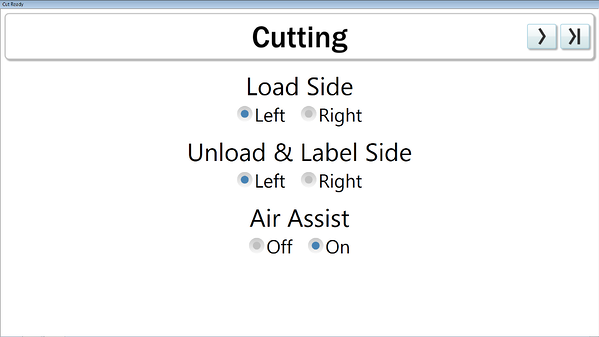 We’ve added the ability to turn this Cut Center feature Off if needed. 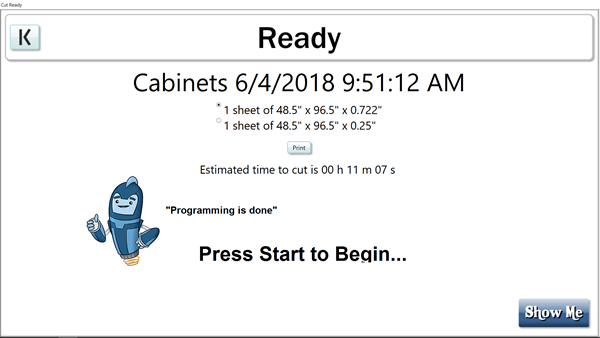 We have also redesigned the Run Screen which gives Cut Ready a sleek, cleaner look while running your jobs. Another user request is the ability to save "Shapes" jobs. Prior to this update, there was no way to re-run a previously entered "Shape" job. We've now added this ability. Much like your smartphone, Cut Ready always notifies you when there is an update available (free for the life of the machine.) Updates usually include new/better functionality and additional content for you to make. Cut Ready automatically checks for updates approximately every six hours, and now you can manually check yourself whenever you want - from the About section. Of all the things Cut Ready offers, we missed a simple one. Boxes. Offered in a variety of construction methods, we now offer boxes, stackable boxes, boxes with handles, cubes, vertical or horizontal grain, etc. for you to make. Fixed - Blind Dado Undermount Drawer Boxes were calculating the back capture hole incorrectly when choosing them from the “For Something Else” selection. 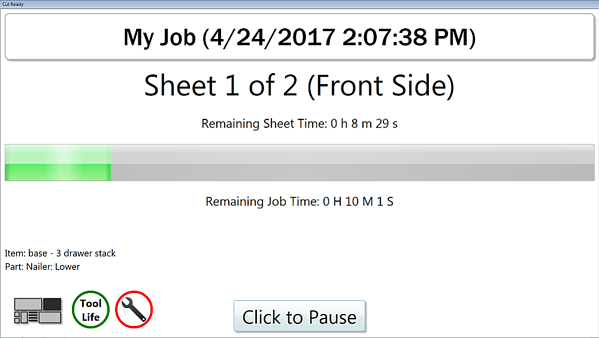 Fixed – When using Off-Fall for a Job, the Sheets page displayed an incorrect number of Off-Fall / Added Sheets. Do you have a great design idea? Want to see something added to Cut Ready? Let us know! We are always looking to improve the functionality and ease of Cut Ready, so we appreciate all user feedback. The Thermwood Cut Ready Cut Center is an exciting alternative to traditional CNC routers for making a wide variety of products including cabinets, closets, furniture, doors, drawers and much more. Just tell the machine what you what to make and it does it...it is that simple! NO programming is required. We are constantly adding new features and abilities to the Award-Winning Cut Ready Cut Center. 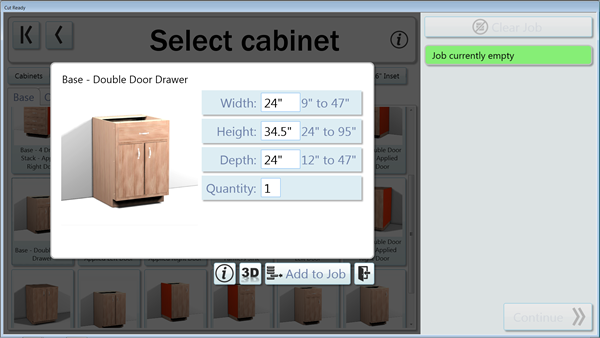 Our latest update adds improvements for existing Furniture Items currently standard on the Cut Ready Cut Center. Included in this update are suggestions/recommendations from current users, along with several design changes. 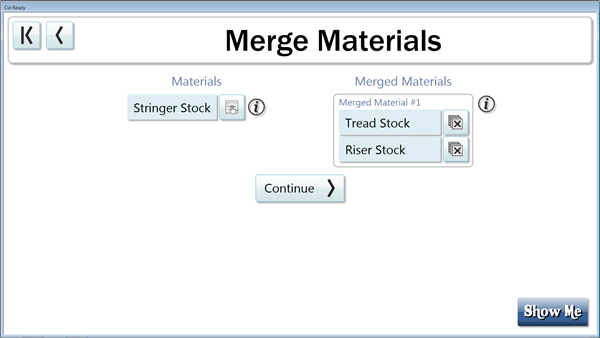 These changes will result in better nesting and handling of material thickness changes made by the user. This is a collection of unique contemporary bedroom furniture that appears to float above the floor without visible legs or support. 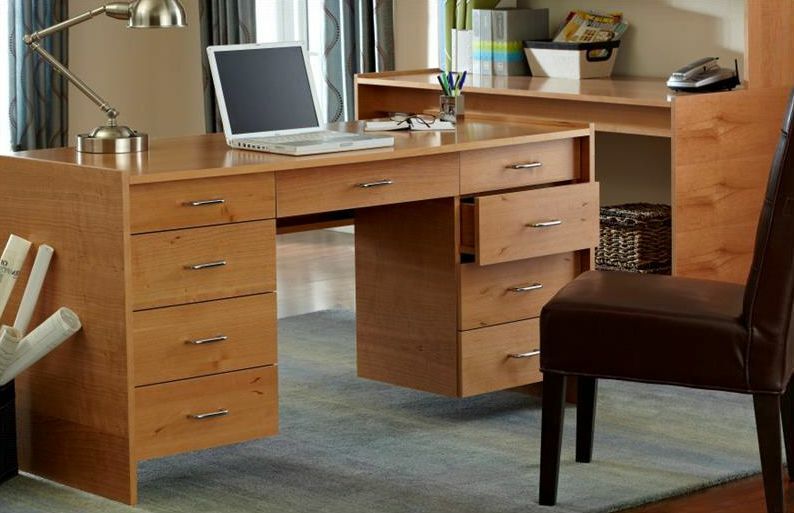 It presents a simple elegant style that compliments any contemporary setting. 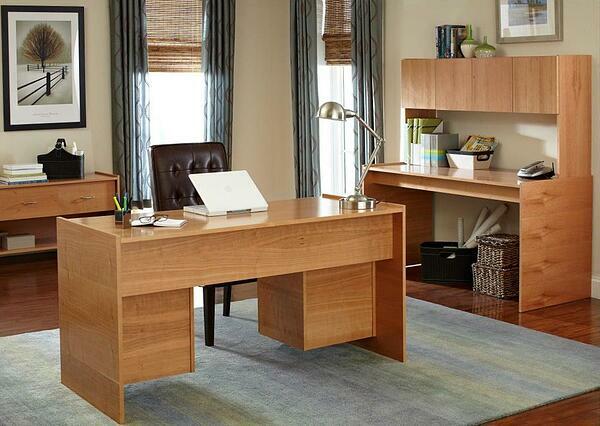 This is a collection of stylish, attractive adjustable sized office furniture for the home or small business. 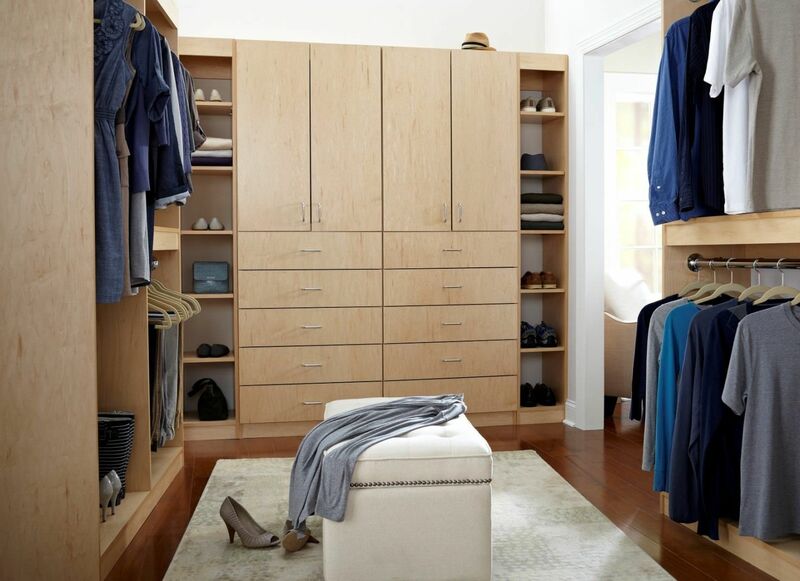 This is a collection of components designed for the modern elegant closet, but with applications in many different areas. We've also improved some aspects of Cut Ready's Dovetail Drawer Boxes. This is a sophisticated collection of contemporary entertainment wall systems inspired by high-end, incredibly expensive Italian designs. We are constantly adding new features and abilities to the Award-Winning Cut Ready Cut Center. Our latest update adds a powerful tool to the Cut Center - the integration of the Cut Ready Publisher. What is the Cut Ready Publisher? 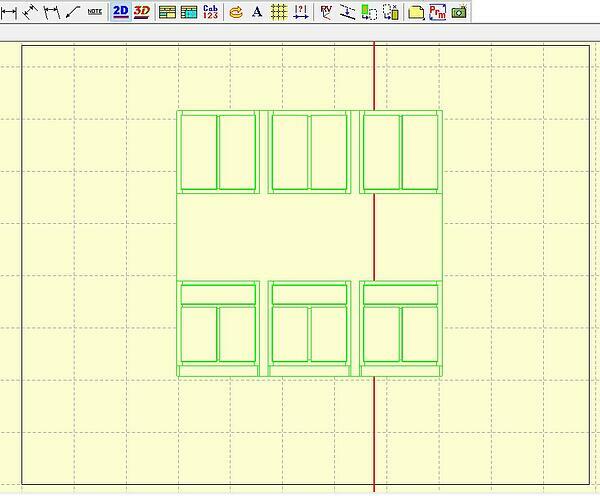 The Cut Ready Publisher gives eCabinet Systems users a seamless way to integrate their own designs into Cut Ready! Simply open the Publisher from within eCabinets, Drag and drop the designs you want to transfer to the Cut Center, and press the Publish button. Your designs will appear in the Cut Center under "My Content". You will now be able to resize and cut your design just like any other Cut Ready Item. Please visit the eCabinet Systems website to download the Publisher and eCabinet Systems update. 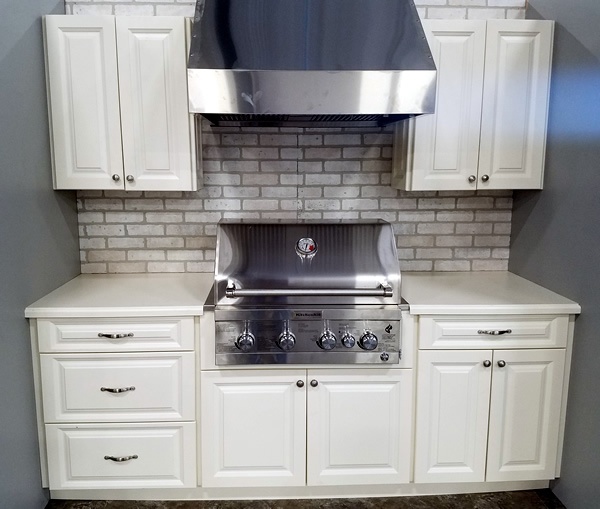 Th ermwood's Award Winning Cut Ready Cut Center is an alternative to traditional CNC routers for making custom cabinets and furniture with NO programming. With the Cut Center, you have two choices in how you can operate. You can use it as an easy-to-operate Cut Center (just tell it what you want to make and it does it), or you can use it as a traditional CNC router with CNC Access. We are constantly adding new features and capabilities to the powerful Cut Center. 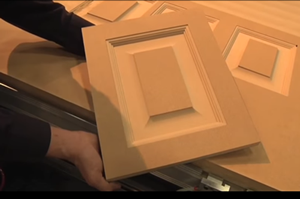 Please click below to see a video preview of the newest - the ability to quickly and easily machine MDF doors using standard profile tooling with corner cleanup. 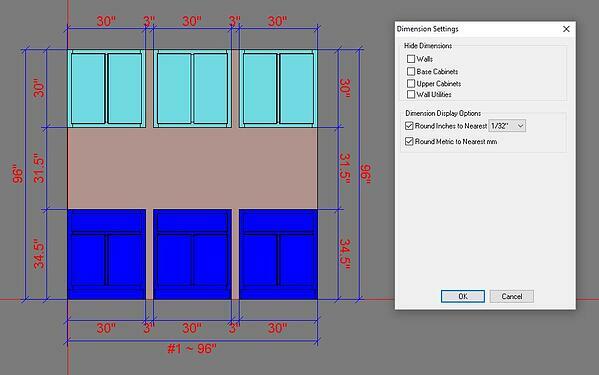 Just select the door(s) you would like to make, select the profile, input the size(s) and the Cut Center makes it. We are constantly adding new features and abilities to the Award-Winning Cut Ready Cut Center. Our latest update adds another unique library to the Cut Center that can be selected, resized and machined with NO Programming! The Contemporary Floating Bedroom Suite is a collection of unique contemporary bedroom furniture that appears to float above the floor without visible legs or support. It presents a simple elegant style that compliments any contemporary setting. 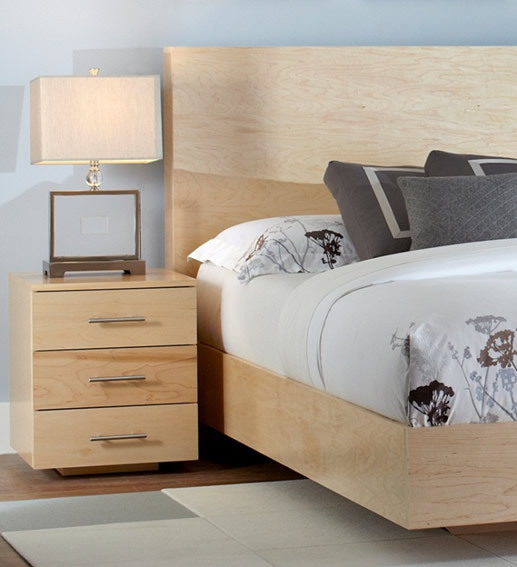 Beds (available in all standard sizes) can be used with a traditional box spring and mattress offering a more traditional appearance or they can be used with a platform and mattress for a low, modern look. 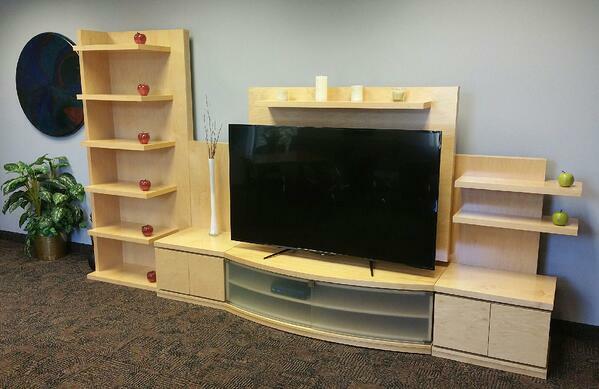 While these pieces can be made from any material, it is recommended that they be made from either pre-finished or unfinished hardwood veneer plywood. The unfinished material supports a variety of contemporary finishing techniques from a simple stain or clear coat to dramatic solid colors. This collection is assembled using just a screwdriver and “lock dado” joints. The dresser, chest, and night stand are all resizable. 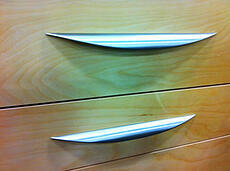 Drawers use “slot slides” where the drawer bottoms extend out each side and ride in slots machined in the sides. This offers easy assembly, smooth operation and precise alignment. 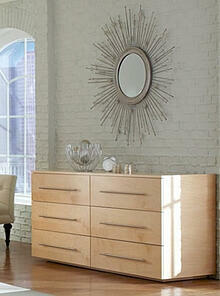 This collection offers simple, elegant and highly attractive furniture with high-end, avant-garde Italian styling. 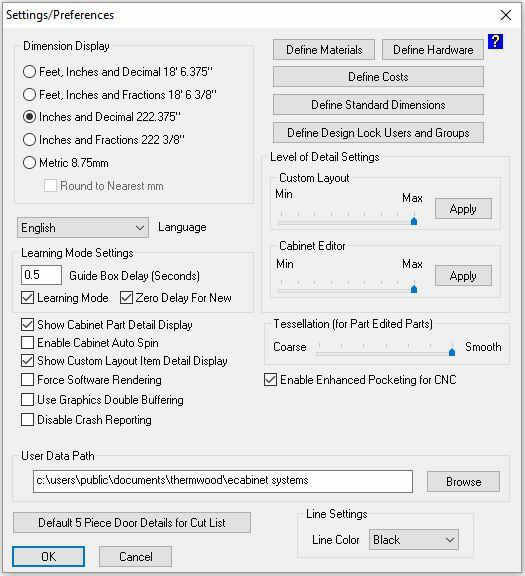 Thermwood Cut Center Updated Features! 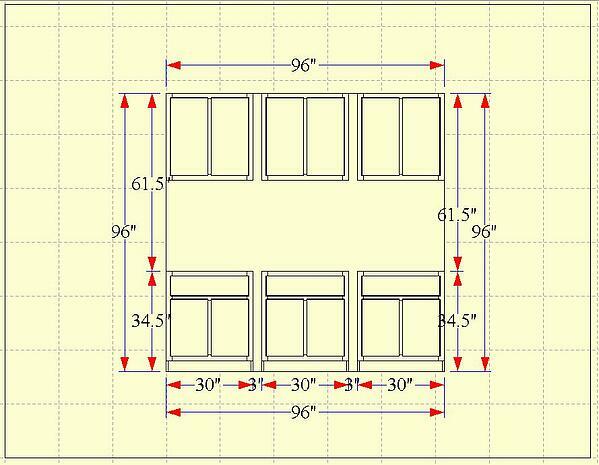 Resize the height on face frame base cabinets (while maintaining proper drawer front heights). 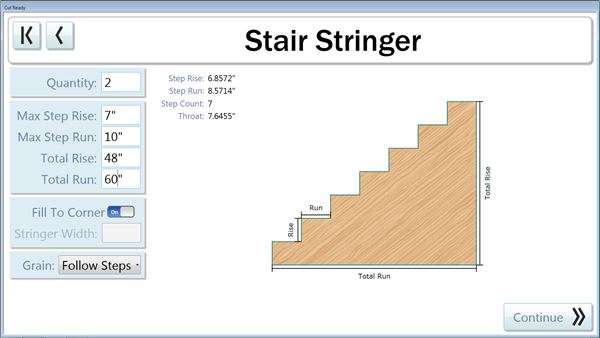 The Cut Center now has the ability to create Stair Stringers, and free-standing stairs. 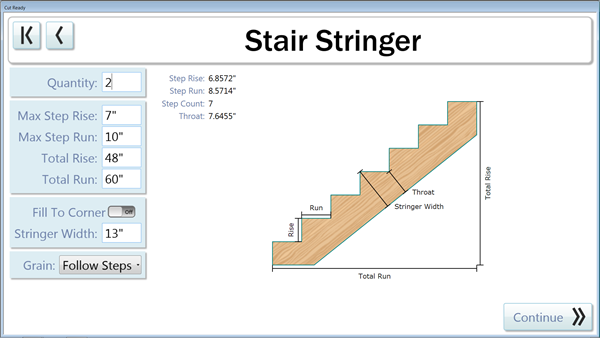 This ability originated with the stair stringers development (you can nest treads, risers or stringers out of the same material, providing a more efficient nest), and this solution was so useful that it was implemented throughtout the entire system. 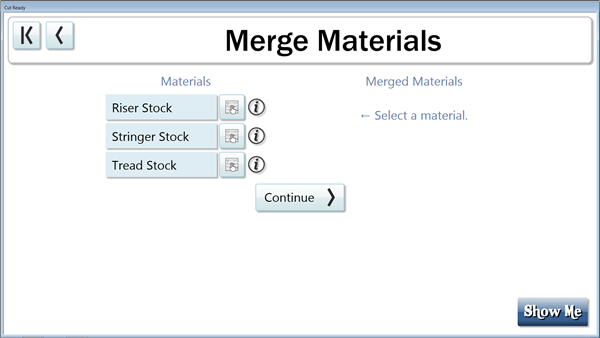 We’ve updated the materials page to allow the user to specify whether their material is Sheet Stock or Board Stock (which affects direction of cut, feed speeds, and cut depths). 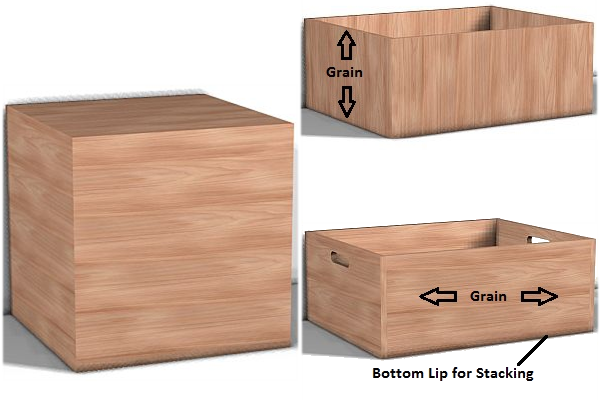 This allows you to make Solid Wood Drawer Boxes. You can also specify if your material has identical sides (such as premium plywood), or if they are different (such as melamine that has 2 colors). 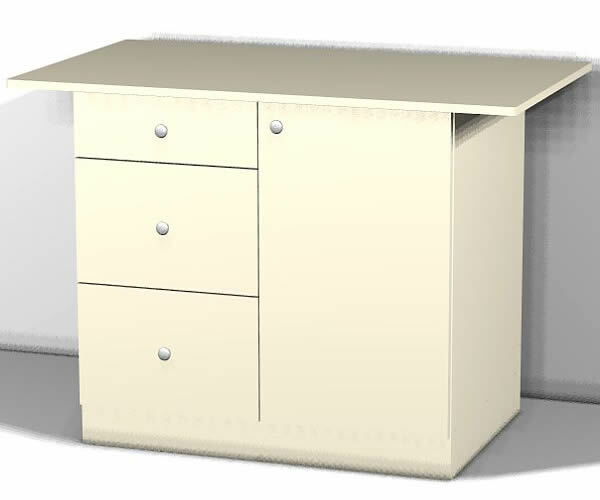 In the melamine scenario, the Cut Center will maintain all of one color to the inside of the cabinets. For users who do not use material with grain (melamine, mdf, etc. ), you can now turn grain off, resulting in a more efficient nest. Prior to this update, you could only add off-fall created from previous jobs by using a barcode and scanner. This update allows you to add rectangular off-fall that was not created from the Cut Ready system, and use it just like you would regular off-fall. 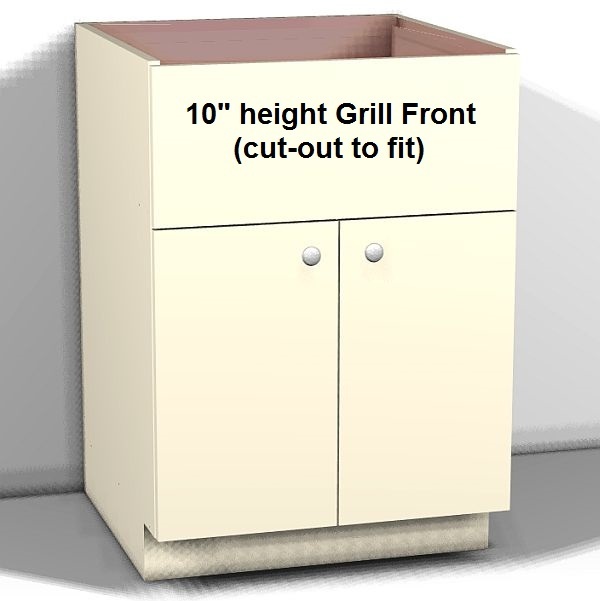 We now allow users to change the height of Face Frame Base Cabinets while maintaining proper Drawer Front Heights.